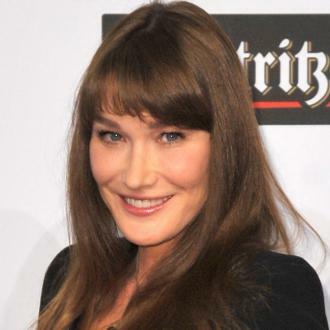 Carla Bruni's history is anything but boring, constantly moving and travelling the world as well as studying architecture, spending years as a top supermodel and also writing songs for Julien Clerc, Carla decided to start her own career in music. Her third album Comme Si De Rien N'était (As if Nothing Had Happened) has just been released, check out the video for 'L'Amoureuse', the first video to be made from her new material. Where as Carla's first two albums were move folk based songs, her new album is more of a full band affair, branching out into a different styles of music including pop, bluegrass, with nods to jazz and flamenco. Carla Bruni will perform on Later with Jools Holland on September 16th 2008, the show will also feature sets from Paul McCartney and Metallica.